As the “backbone” of the band, the responsibility of the drummer is to keep time and hold the beat. Your hands and feet must be in perfect synchrony as you transition from verse to bridge to chorus. If your timing is the slightest bit off the song will suffer and the song may be noticeably disjointed. As a drummer, your hands are your instrument and your skill is predicated on your ability to properly control your hands. Depending on the style of music you play, your beats per minute (BPM) will vary. However, for all drummers, the risk of Carpal Tunnel Syndrome (CTS) is a very real concern. 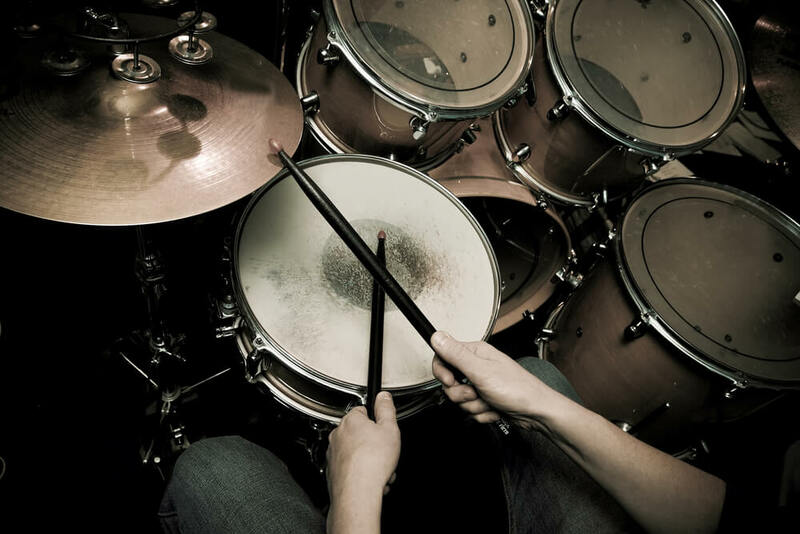 What Causes Carpal Tunnel Syndrome in Drummers? Carpal Tunnel Syndrome, sometimes refereed to as CTS, arises from a repeated action that causes tendon irritation or inflammation which may result in swelling and thickening of the covering of the tendons in the hand. Swelling and inflammation can also occur in or around the median nerve. The median nerve runs down the arm and into the hand on the underside of the wrist, This nerve supplies sensation to the thumb, first, second and part of the ring finger on either hand, it also allows the muscle flexibility in the thumb that allows you to touch the thumb against the other fingers and thereby grip the sticks. In this instance, the repeated action would be the vibration of drumming absorbed into the hand while the hand is in a compromised position. Because of the position drumming forces the body to be in, cervical and lumbar injuries are quite common. The necessity of positioning your arms and hands in front of your body to play creates the tendency for drummers to arch their backs forward and “hang” on the ligaments of the spine. This arching is one of the most common factors for lumbar spine injuries. Spinal condition treatment is Pain Physician NY’s specialty — we treat spinal pain on a case-by-case basis. Al so, because of the arrangement of conventional drum sets and the physical demands of drumming, it’s common for drummers to crane their necks. According to the Chiropractic Resource Organization, for every inch your head moves forward, your head effectively gains 10 lbs of weight. This directly affects the amount of force and strain applied to the tissues and muscles in your upper back and neck. This causes your sub occipital muscles, which are your chin-raising muscles situated at the base of your skull, to remain under constant contraction. Also, the repetitive impact on the extremities that derives from hitting the drums causes constant absorption of these impacts from the spine. 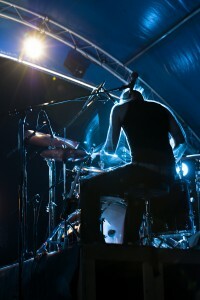 Many drummers play 200 beats (impact) per minute. This is an incredibly high amount of shock to the spine. Just as the drum absorbs the force of your sticks, something has to absorb the reciprocal force of the percussion. The spine acts like the shock absorber. The forces travel up through the extremities into the spine where the resonance is reduced. However, this constant absorption creates constant vibration in the spinal column and can lead to slips and herniations of the intervertebral discs. Legendary singer and drummer of the multi-platinum band, Genesis, Phil Collins was a victim of spinal complications due to spending over 50 years behind a drum set. Phil had severe cervical compression and was unable to even hold a set of sticks without excruciating pain. He was also experiencing radicular pain and neurological dysfunction which made it difficult for him to tighten his hands and hold the sticks. In 2009 he told fans that he would never be able to play drums again. However, after a spinal decompression, Phil is able to again hold sticks and beginning to play drums again, pain-free.